five words is not enough. 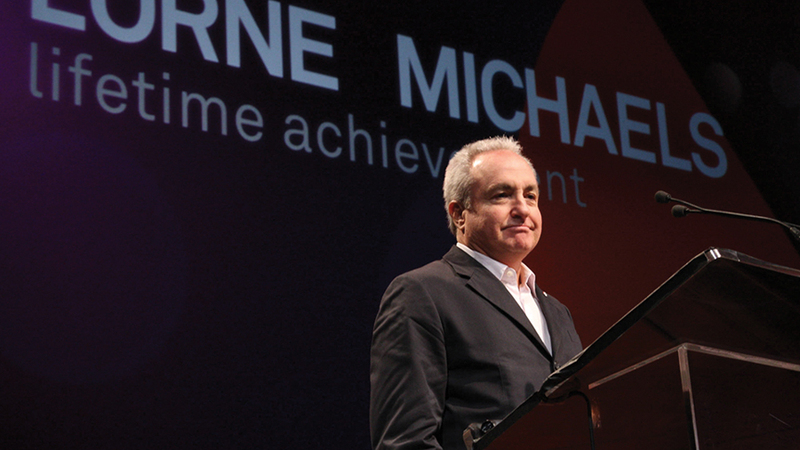 The Webby Awards is thrilled to honor Lorne Michaels in recognition of his ground-breaking work with SNL Digital and his commitment to making Saturday Night Live readily available to viewers and fans on the Internet. As today’s entertainment industry rushes to publish traditional television content on the Internet, Mr. Michaels has paved the way, serving as a pioneer with SNL Digital both on YouTube and now at NBC.com. A true leader of the entertainment world, Mr. Michaels has bravely embraced the power of the Web.